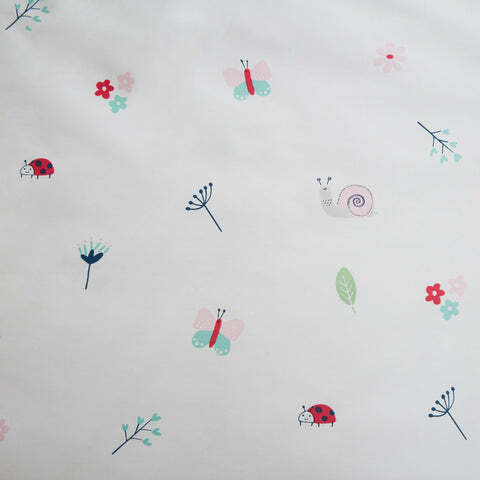 In the Garden Duvet Cover Set - Single | Great Little Trading Co.
With its soothing colours and pretty illustrations this design will calm even the most energetic little souls when it's time to sleep. Look out for the dandelions, the smiley ladybirds, the pretty butterflies and more. 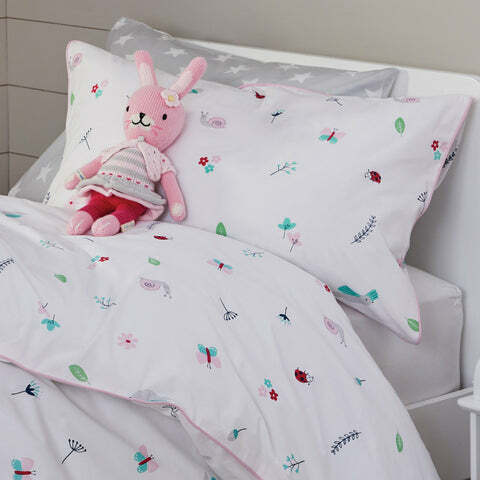 We understand the need to keep children cool and comfy at night. That's why we make all our duvet cover sets from 100% pure, long lasting cotton. Includes robust button closures. Sleepovers on the horizon? 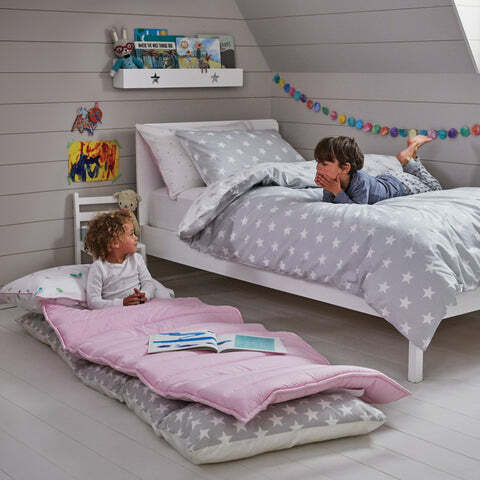 You can team up this beautiful design with the matching In the Garden Sleeping Bag and one of our new Children's Backpacks; you can also create a coordinated look with the matching Canvas Storage Cube.